Designed by MY KT, this successor to #TextMe aims to have a little bit of fun with society�s obsession with cell phones, social media and selfies. 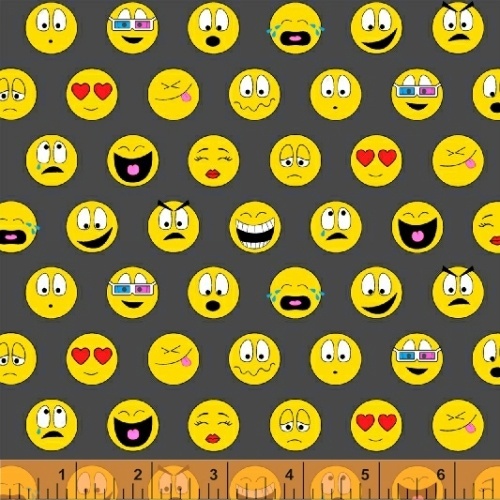 It brings back two of your favorites from #TextMe including the classic emoticons and text messages, combining them with lock screen buttons and filters. Keep your fabric stash as updated as your cell phone software with this #awesome collection. Make sure to focus on the great iPhone/Android tablet case project included. 10 Skus. Delivery to stores September 2017.